The Precarious Archive is a long-term project centered around a collection of unpublished images, the result of a 10 year research in various public and private archival institutions, press offices, and newspapers in Greece. 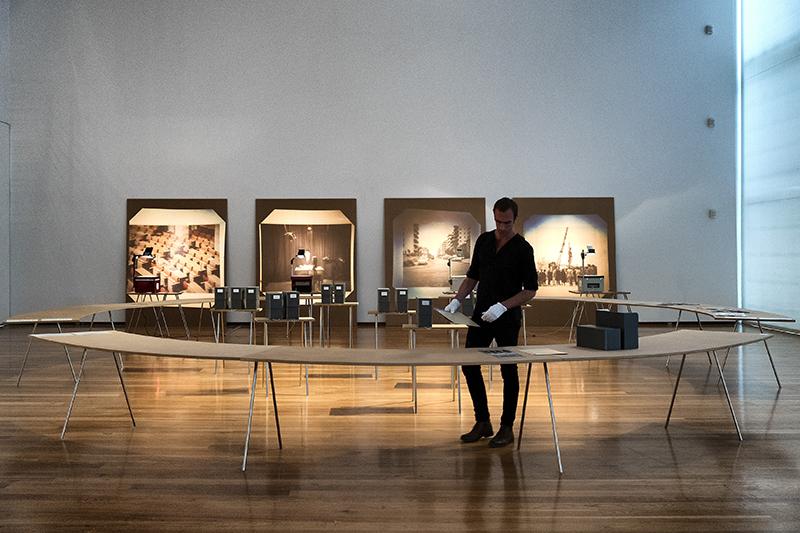 The visual material covers a period of about 40 years from 1963-2002, reflecting some of the major political events in the recent Greek and European history such as the Cold War, the Truman Doctrine, the Greek Junta and the Marxist Guerrilla organization 17 November, to name just a few. The project presents the total collection of approximately 900 images, separated in about 30 different thematic categories. The material is indexed and displayed in a system of horizontal and vertical structures that allow visual and physical access to the public. 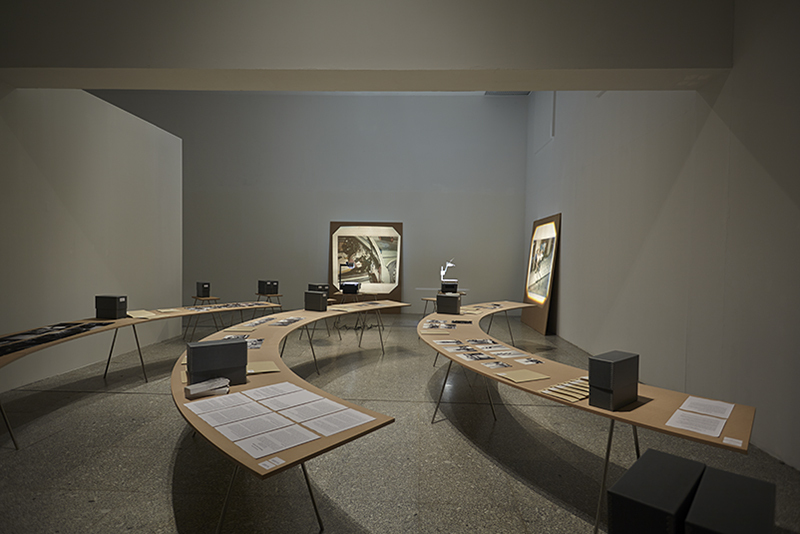 With the help of an Archivist- Performer, whose continuous presence in the installation is integral part of the work, the visitors encounter a flux of images, texts and various other documents. 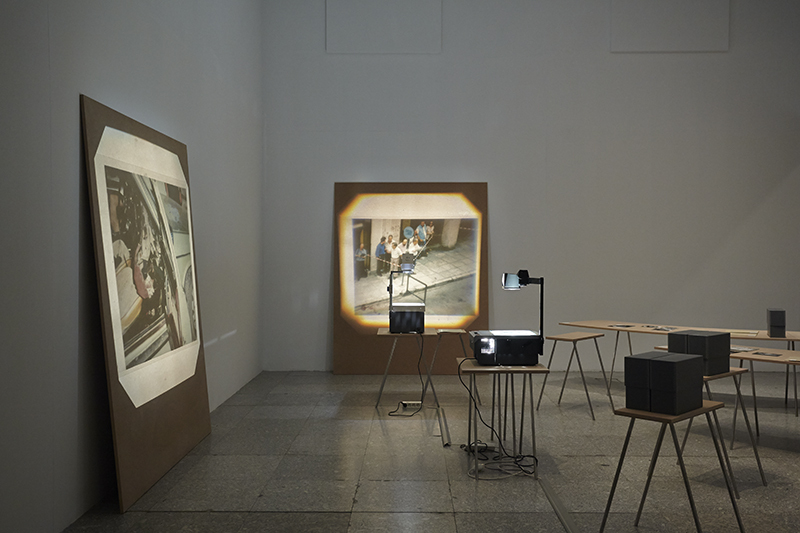 Among the tasks of the Archivist-Performer is (a) to display photographs on the tables and the screens, as part of a systematic language of visual representation, (b) to perform improvised gestures as a physical, body-political response to the archives, and finally (c) to interact with the public, by conducting interviews and discussing potential scenarios in which the image’s affinity as a fictitious byproduct, is cross examined and interrogated. The Precarious Archive constitutes an idiosyncratic archive that touches upon atypical archival strategies, questions methods of representation, and reflects on images as multi dimensional, economy driven hyper-commodities, raising questions on visibility and the gaze in our mediated democracies.